This is a Mod Integration and Compatibility Mod for the mod: MK Ultra. 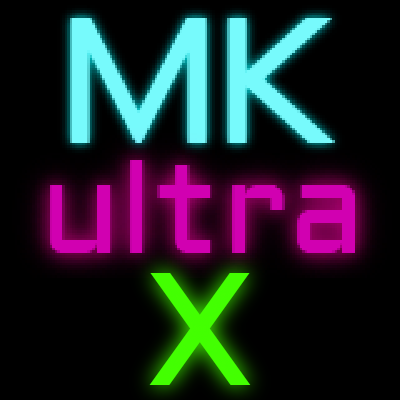 When loaded alongside the mods it integrates, new items, blocks, recipes, or logic will be loaded into the game world to better bring accomplish our vision for how MK Ultra should be played. You do not need to load any of these mods (although it wouldn't make a lot of sense to load none of them and use this mod). Is there a visible source for me to take a look at how mods can integrate? Want to write custom support for my modpack. Everything we do is fully open-source and MIT licensed, you can see all the projects here: https://github.com/ChaosBuffalo and you may want to take a look at https://github.com/ChaosBuffalo/MKUltra-Compat which is our own in-house compatibility/integration mod. All armor compatibility is just a configuration at this point. Turn on SHOW_ARMOR_MAT in the config and then when you hover over an armor you should be able to see its armor mat name. Add this to the white list for the armor class you want it to be part of in the configs. Tinkers weapons and tools need a compatibility mod to add critical stats and shield restrictions appropriately. Will look into this. I'd like to see compatibility with Thaumcraft, Aether 2, Electroblob's wizardry, Embers, Aetherworks, and Switchbow if at all possible. Thaumcraft is definitely coming. Aether 2 is something I'm interested in. I will make a note of the others as well. Our goal is to have a very cohesive experience with a lot of the popular mods that add armors and weapons. Excellent to hear! Thank you for the response. if Aether 2 is too much, check out Aether legacy instead. Also check out Twilight Forest. A fix for this is going up right now. You aren't supposed to need any of the mods beyond MK Ultra and Targeting API. Awesome, thanks for fixing it so fast!